t*rexes and tiaras: Tuesday Titles 054.. 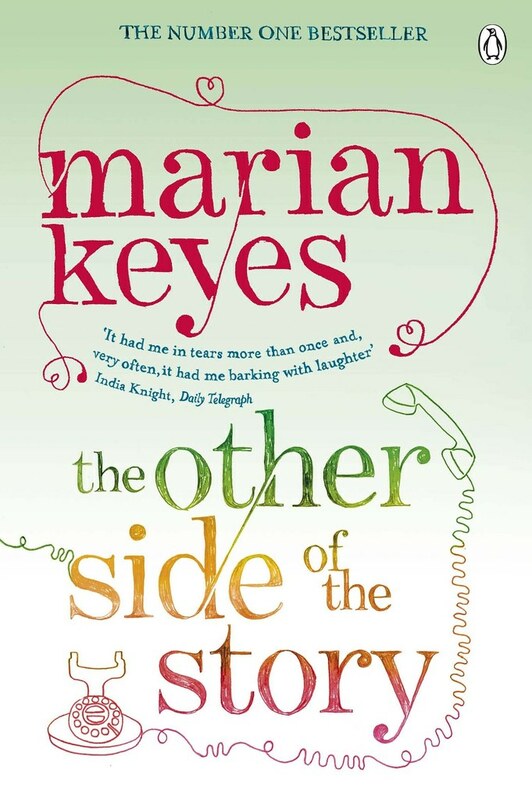 It's a while since I read a Marian Keyes book. I don't know where this one came from, but it appeared in my reading pile a while ago. I think it was part of a book swap parcel. Unlike some of the other Keyes books I've read in the past, I rather enjoyed this. Yes, the storyline was a little predictable, but the characters had a little more about them than other books I've read. The narrative flicks between the three main characters: JoJo, Gemm and Lily and although you know that at some point the three worlds will collide, for a while they are satisfyingly separate. Gemma, who has decided to write a book about her father leaving her mother contacts JoJo, a London-based literary agent who already represents Lily. Lily, who stole Gemma's boyfriend years ago and has already written one bestseller. Surely this can't end well. There are some other fairly decent supporting characters (as well as a couple of unrealistic sappy ones) and it all wraps up quite nicely towards the end. The kind of book which kept me occupied whilst on the cross-trainer at the gym last week. but which I wouldn't hold my breath to read again. I seem to be picking up the wrong books lately. One I had to put in the recycling bin because the storyline turned out to be the character bragging about his sexual exploits! I am considering classic literature next ! Oh, that doesn't sound great.